Dinner included. Duration: 2 Hours. Take a cruise along the Corniche Creek of Abu Dhabi and witness the splendid sights and sounds of the beautiful capital of the U.A.E. 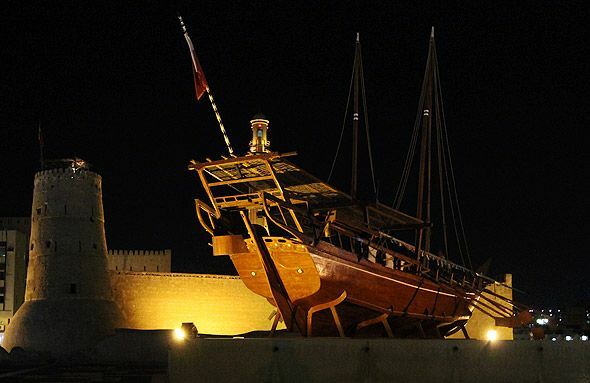 Enjoy a delicious seafood-based dinner aboard a traditional wooden dhow as it plots a course through the breezy waters of Abu Dhabi city's Corniche. Take a beautiful evening cruise under the stars alone the Corniche on board a traditional wooden Dhow passing magnificent seaside buildings and restaurants. 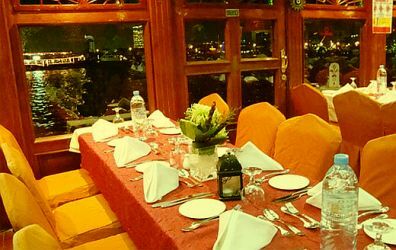 Enjoy a five-star seafood buffet dinner on board.